The exceptional generosity of the Crescent community is something to be proud of. 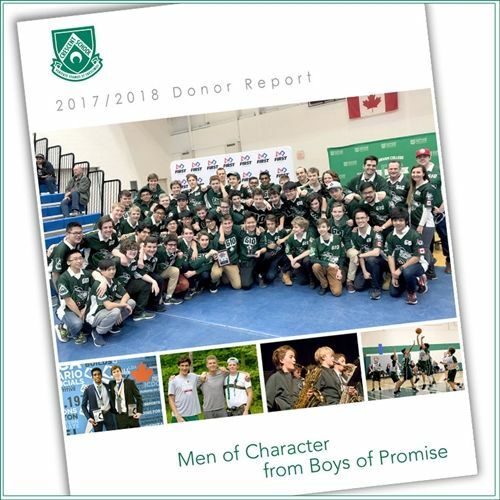 Philanthropic support from Crescent’s community of current and past parents, alumni and grandparents makes it possible for Crescent to deliver the best possible programs for our boys. We're proud to share our annual report acknowledging all who donated to Crescent School and The Crescent School Foundation between July 1, 2017 and June 30, 2018. Their charitable contributions ensure that Crescent continues to adapt and grow to meet the changing needs of education.